Address: The University of Kufa, IRAQ. 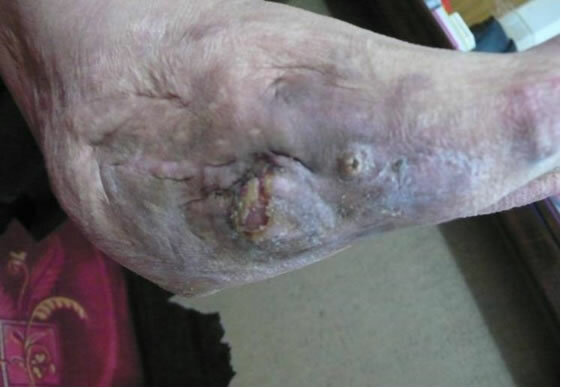 40 year old female patient presented with a chronic post traumatic unstable heel and two lateral ulcers. The area was previously treated with a skin graft. Results: The results are shown below for heel and lateral foot ulcers, before and after treatments. Proposed treatment: Detailed description of wound to be treated: Female patient with one heel ulcer & two lateral foot ulcers. Heel ulcer before the treatment. Heel ulcer after 10 days of the treatment. Two lateral ulcers before the treatment. 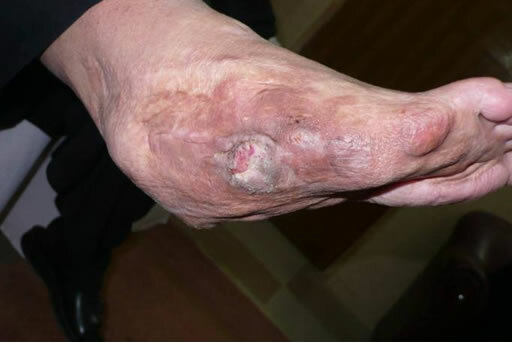 Lateral foot ulcers after 10 days of the treatment. The photographs above show the results of this female patient who attended the hospital after 10 days of treatment using SuprGel product. It seems that all wounds made a significant improvement, especially regarding the epithelisation process and infection control. Further evaluation is required to determine any subsequent changes. Thank you very much for your kind massege. It is my pleasure to work together on these products. 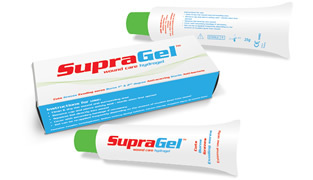 I am still using Supragel and Supracel on selective cases. Yesterday the patient (case 1 ) phoned me saying that all her ulcers had been healed and she was very happy because one surgeon previously advised her to do amputation. By the way she is a case of post RTA defect. I will send all available results soon. On 1996 I worked on Silgel (Nagor) and Cicacare (Smith&nephew) we found nice results on postburn hypertrophic scars. I agree that fixation is important ,and the occlusion is the cornerstone of the effective management.